Affluent to Ruin then Near Death & Back… Our January 2016 WOW Gal Shares Her Story! Looking for Love Outside Herself…Our October WOW Gal Shares Her Story! Winded Climbing Stairs to Climbing Mt Kilimanjaro… Our July WOW Gal Shares Her Story! Osteoporosis at Only 54...Our June 2015 WOW Gal Shares Her Story! My Body Started Shutting Down…Our May 2015 WOW Gal Shares Her Story! It was a glorious time until… We Share Our JUNE 2014 WOW Gal Story! Here's to Living YOUR WOW in the NOW! Yes! Women of Worth Magazine Has A New WOW Gal Story, Review, Insight & Tribute! We now have a special Video Area for Women! Go to our Video page in the Menu to choose the category you wish to view!!! Our 2013 Valentine WOW Gal Shares Her Story...Have you read it yet? Our WOWs Still Being Celebrated area. Our December 2012 WOW Gal is Debuting! Kathy Russell THE Butler Girl! She will now be continuously featured at WOW Gals Still Being Celebrated. Our November 2012 WOW Gal is Debuting! OUR SEPTEMBER 2012 WOW GAL IS DEBUTING! Lindy Tefft of I Married Mr. America! Our August 2012 WOW Gal is Debuting! Nellie Jacobs of Igniting Imagaination! Cindy Hudson of Red Hot Living! Our June 2012 WOW Gal Shares Her Story! Alison Heath of Wishing Well 2U! Our May 2012 WOW Gal Shares Her Story! June & Laura Sabo of MS Walk in April! They will now be continuously featured at WOW Gals Still Being Celebrated. Our April 2012 WOW Gals Are Debuting! Candace Armenti of Stranger Danger Awareness! Both afflicted with MS and Still Able to Clown Around! If you haven't already found Laura & June on OUR Home page you may visit with her to hear her story by clicking on her name. Our March 2012 WOW Gal is Debuting! First, Thank YOU to OUR February 2012 WOW Gal, Ginette Hunter of Harmony In Design! She will now be continuously featured at WOW Gals Still Being Celebrated. Congratulations Ginette! Candance Armenti of Stranger Danger Awareness! If you haven't already found Candace on OUR Home page you may visit with her to hear her story by clicking on her name. Our February WOW Gal is Debuting! First, Thank YOU to OUR January 2012 WOW Gal, Evita Ochel of Evita Ochel! She will now be continuously featured at WOW Gals Still Being Celebrated. Congratulations Amy! Ginette Hunter of Harmony In Design! If you haven't already found Ginette on OUR Home page you may visit with her to hear her story by clicking on her name. Our New Years WOW Gal is Debuting!!! First, Thank YOU to OUR December 2011 WOW Gal, Amy Whitney of Inspirational Transformational TV! Evita Ochel of Evita Ochel! If you haven't already found Eva on OUR Home page you may visit with her to hear her story by clicking on her name. Our November WOW Gal is Debuting! First, Thank YOU to OUR October 2011 WOW Gal, Pat Hastings of Simply a Woman of Faith! She will now be continuously featured at WOW Gals Still Being Celebrated. Congratulations Pat! And Now We would like to introduce YOU to Our November 2011 WOW Gal, Diane McLaren of Healthy You Naturally Wellness Centre! If you haven't already found Diane on OUR Home page you may visit with her to hear her story by clicking on her name. Our October 2011 WOW Gal is Debuting! First, Thank YOU to OUR September 2011 WOW Gal, Cathy Byrnes of Coach Cathy! She will now be continuously featured at WOW Gals Still Being Celebrated. Congratulations Cathy! Pat Hastings of Simply A Woman of Faith! If you haven't already found Pat on OUR Home page visit with her to hear her story by clicking on her name. Each month we will be featuring a new WOW Gal so Submit YOUR Story and you can be ONE too! Our September WOW Gal is Debuting! First, Thank YOU to OUR August 2011 WOW Gal, Sue London of Ask Sue London! She will now be continuously featured at WOW Gals Still Being Celebrated. Congratulations Sue! And Now We would like to introduce YOU to Our September 2011 WOW Gal, Cathy Byrnes of Coach Cathy! If you haven't already found Cathy on OUR Home page you may visit with her to hear her story by clicking on her name. Our August WOW Gal is Debuting NOW! First a Thank YOU to OUR July 2011 WOW Gal, Karen Stocker of LOA Canada! She will now be continuously featured in Our WOW Gals Still Being Celebrated Area. Congratulations Karen! 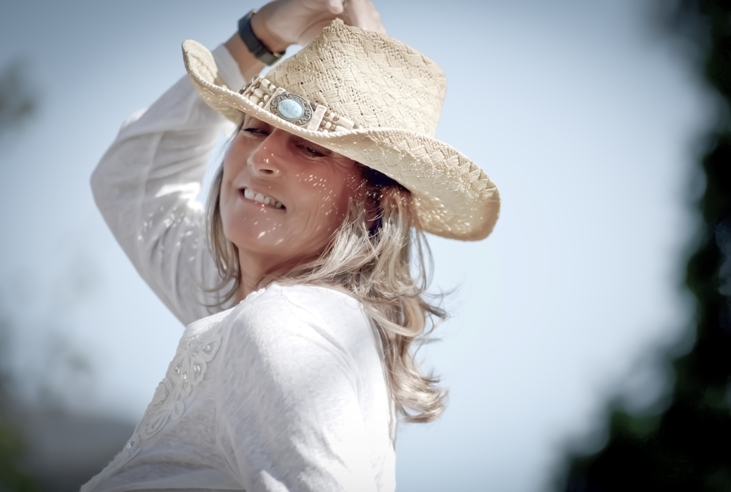 And Now we would like to introduce YOU to Our August 2011 WOW Gal, Sue London of Ask Sue London! If you haven't already found Sue on OUR Home page you may visit with her to hear her story by clicking on her name above. TIME TO INTRODUCE OUR JULY 2011 WOW GAL! First a Thank YOU to OUR June 2011 WOW Gal, Deborah Powell of Out There 4 U! She will now be continuously featured in Our WOW Gals Still Being Celebrated Area. Congratulations Deborahl! 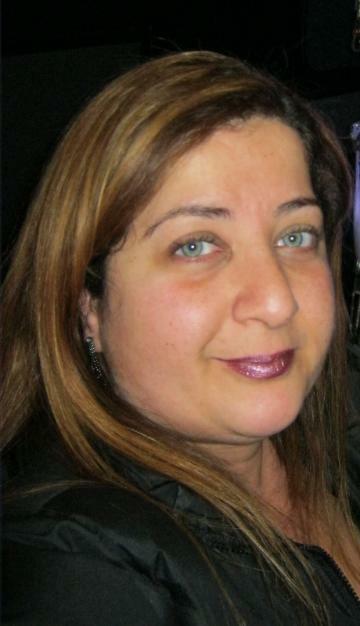 And Now we would like to introduce YOU to Our July 2011 WOW Gal, Karen Stocker of LOA Canada! If you haven't already found Karen on OUR Home page you may visit with her to hear her story by clicking on her name above. TIME TO INTRODUCE OUR MAY 2011 WOW GAL! First a Thank YOU to OUR April 2011 WOW Gal, Victoria Vives of How 2B a Super Hero! She will now be continuously featured in Our WOW Gals Still Being Celebrated Area. Congratulations Victoria! And Now we would like to introduce YOU to Our May 2011 WOW Gal, Jill Robinson of Communication Connection! If you haven't already found Jill on OUR Home page you may visit with her to hear her story by clicking on her name above. Time to Introduce Our April 2011 WOW Gal! First a Thank YOU to OUR February 2011 WOW Gal, Gloria Messenger of The Angel Messenger! She will now be continuously featured in Our WOW Gals Still Being Celebrated Area. Congratulations Gloria! And Now I would like to introduce YOU to Our April 2011 WOW Gal, Victoria Vives of How 2B a Super Hero! If you haven't already found Victoria on OUR Home page you may visit with her to hear her story by clicking on her name above. Time to Say Hello to Our March WOW Gal! First a Thank YOU to OUR February 2011 WOW Gal, Ellen Lambert of Ellen Out Loud! She will now be continuously featured in Our WOW Gals Still Being Celebrated Area. Congratulations Ellen! And Now I would like to introduce YOU to Our March 2011 WOW Gal, Gloria Messenger of The Angel Messenger! If You haven't already found Lisa on OUR Home page you may visit with her to hear her story by clicking on her name above. Time to Say Hello to OUR January WOW Gal! First a Thank YOU to OUR December 2010 WOW Gal, Wendy Mathews of Happy Being Me! She will now be continuously featured in Our WOW Gals Still Being Celebrated Area. Congratulations Wendy! And Now I would like to introduce YOU to Our January 2011 WOW Gal, Lisa Ellis of Boost YOUR Skills! If You haven't already found Lisa on OUR Home page you may visit with her to hear her story by clicking on her name above.